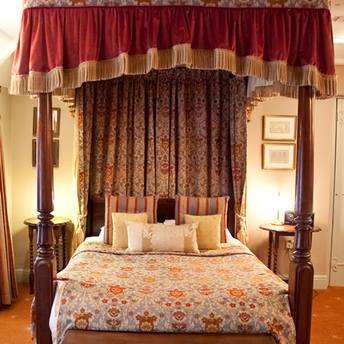 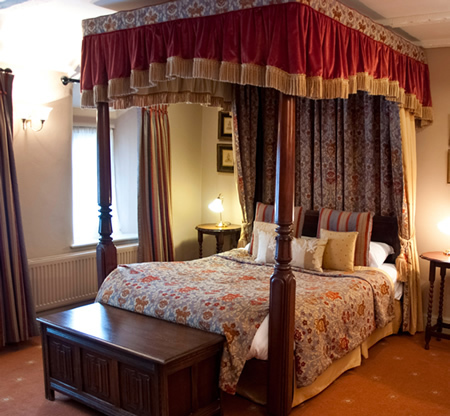 The Mallow Suite is a wonderfully spacious room set over two levels with an antique four-poster bed, separate seating area and a double spa bath. 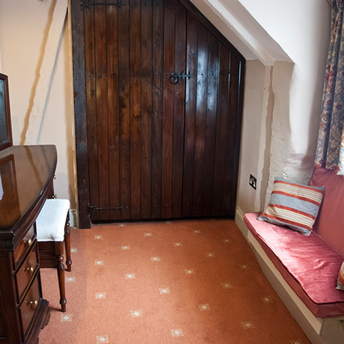 Within the room itself you will see the original stonework and exposed oak beams along with the antique four-posted bed. 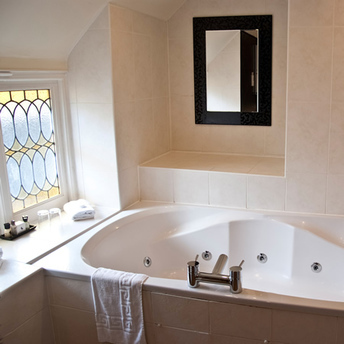 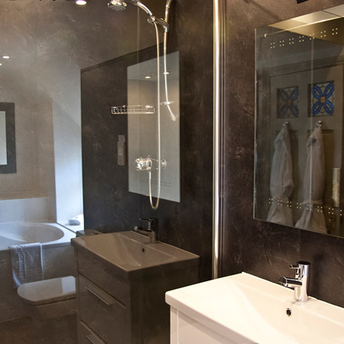 The room also features some modern facilities such as a comfortable two-seater sofa, 37" flat screen television, tea and coffee making facilities and the state of the art bathroom with walk-in shower and double jacuzzi bath.